These days, it’s all about alignment. As organizations face increasing pressure to position themselves for healthcare reform, leaders are finding that this isn’t the time to be on an island. With that in mind, Skaggs Regional Medical Center recently entered into a merger with CoxHealth. But of course, that doesn’t mean the work is done. In fact, it’s only beginning. In this interview, CIO Michael Elley discusses the challenges of adjusting to new workflows, his plans to migrate to Cerner, and the work his team is doing to reduce readmissions. He also talks about the BJC Collaborative, how the organization is using business intelligence to plan for fluctuations in patient volumes, and his career path. We saw declining reimbursements occurring in the future, and we were doing well financially, but we didn’t know if we’d be doing so well in four or five years. And so it was better for this organization to make a deal now so that we can remain relevant in the future. We’re very similar in terms of our culture — the type of people that we employ, those sorts of things. And we had some similarities on the technical front, which is going to make it easier to integrate in the future. Since all these IT staffers are part of Cerner, now they have this vast array of resources, technical resources, and ITIL training — things that there’s not always a whole lot of budget for. We had our processes. We had the way we went about our business for 20 or 30 years for some of the individuals that have been here, and now we’re being introduced to the Cerner way of life and how Cerner does things. It’s been very interesting. We were best-of-breed within the ER setting and we were best-of-breed within labor and delivery, and so we’ll be going back and putting the Cerner solution in those areas. Gamble: Hi Michael, thank you so much for taking the time to join us today. Elley: I’m glad to participate. Thanks, Kate. Gamble: Why don’t you start off by telling us a little bit about Cox Medical Center Branson, and a little bit about the merger that you just went through? Elley: Sure, I’d be happy to. Cox Medical Center Branson just recently went through a name change. We were Skaggs Regional Medical Center. We’re based in Branson, Missouri. We’re a community hospital with about 165 beds and 1,200 employees. We just merged with CoxHealth based in Springfield, Mo., January of this year, which brings the total system a little bit over 10,000 employees and just under 1,000 beds. So there’s been a lot of activity in the first 90 days. Gamble: What was the relationship previously — was there any kind of affiliation with CoxHealth? Elley: No, there wasn’t. There are really three main players in Southwest Missouri and one of them was CoxHealth, which is more of a larger regional player down here along with Mercy. It’s based in our corporate headquarters out of St. Louis and, and we serve primarily a three-county area. So there was knowledge of some of the key executives between the systems and an understanding of our game plans, but there was really no true affiliation before that. We really just saw the landscape of healthcare changing. A lot of organizations are looking right now to partner in some form or fashion, whether that be a true partnership such as an M&A activity, or some sort of lease options or others like that. We saw declining reimbursements occurring in the future, and we were doing well financially, but we didn’t know if we’d be doing so well in four or five years. And so it was better for this organization to make a deal now so that we can remain relevant in the future. Gamble: It sounds like it was the right opportunity. Now, as far as your position, have your roles or responsibilities changed at all? Elley: No, not right now. Nothing is ever given, and we don’t know what’s going to happen in the future, but right now, we’re completely focused. It’s been a very warm and inviting transition into CoxHealth. We’re both not-for-profit organizations — I think that’s helped, and we’re only about 30 to 40 miles apart. We’re very similar in terms of our culture — the type of people that we employ, those sorts of things. And we had some similarities on the technical front, which is going to make it easier to integrate in the future. Gamble: As far as the reporting structure, is there a CIO of CoxHealth or is that something that’s still being worked out? Elley: There is, yeah. Bruce Robinson. He’s a great guy; he’s been with the organization 38 years. He’s the CIO at the system level over at CoxHealth. I’ve been working with him quite a bit over these past 90 days and a little bit before that to ensure a smooth transition. We’re working on things such as network email integration, which is set to occur in the next couple of weeks. We’re migrating on to the same clinical platform, which is Cerner. We’re both already a stage 6 organization so we were pretty mature — not stage 7, but pretty mature when it came to health IT within organizations. And so I think that’s helped out quite a bit, but we’re really working a lot on activities together going forward. 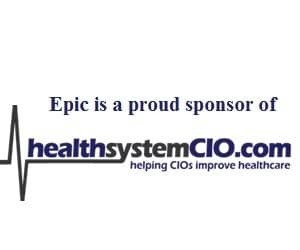 CoxHealth as a whole has had some interesting changes occurring so we’ve been involved with that as well in that they’ve just reached a deal — I think it was in October of 2012 when it was finalized — to transition all of their IT employees, which is about 150 FTE, to Cerner, who is their EMR vendor, under what’s called the Cerner ITWorks arrangement. They do this for about 11 other organizations throughout the US where the IT staffers come into the fold of Cerner, but they still remain in that community. The staff will remain in Springfield or in Branson in the future whenever we transition the IT staff in Branson. So we’re focused on that, but we really have an army of support from Kansas City and the Cerner organization. So we’ve been delving deeper and deeper into that and what that means for this organization. Gamble: And that was already in the works back in the fall, you said, so before the merger became official? Elley: Yes, I think they signed sometime in October of 2012 after about probably 8 to 10 months of negotiations and contract evaluation. Gamble: What is the biggest advantage? Is it just having that much more expertise? And is there training involved with the Branson staff? Elley: There are a lot of advantages right now per the contract. Cox is going to have a wide array of solutions, technologies, and emerging technologies that Cerner is working on. They’ll have the opportunity to be one of the first in the nation or the world actually to start deploying this technology; to be a part of the build of this technology, utilizing our clinicians, our physicians, our nurses, and our advanced practitioners to really help with the design development of that technology. We can use that to really develop what’s going to be the best capability for our healthcare organization. But also, on the backend, it helps Cerner get real-world users developing their solutions that they’re going to put out to market in the future. And since all of these IT staffers are part of Cerner, now they have this vast array of resources, technical resources, and ITIL training — things that there’s not always a whole lot of budget for; things like travel opportunities which are going to be very advantageous not just for the individuals themselves, but also for the health system. Gamble: In terms of the merger itself, we recently did a survey of our advisory panel and the CIOs we surveyed identified merging cultures as the biggest hurdle. Did you find that to be a challenge, and if so, what were some of the ways that you were able to work through that? Elley: I still think we’re going through that. Like I said earlier, we have very similar type of people, type of individuals that live in this area, and so they’re very alike in terms of what their value system is. And so I think that has made it easier through the transition. That’s probably been one of the easier things for us — to have individuals from one organization get introduced and start working with individuals from the parent CoxHealth organization. That’s made the transition go a lot easier. What’s probably been a little bit of a learning curve for the entire CoxHealth organization is that we had our processes. We had the way we went about our business for 20 or 30 years for some of the individuals that have been here, and now we’re being introduced to the Cerner way of life and how Cerner does things. It’s been very interesting. I think that transition is probably more difficult, but I think we’re getting there. That’s probably been the bigger transition, especially for my group. It was one thing just to integrate into a new health system. We’re integrating into a new health system and we’re also moving into the Cerner arrangement which is two jumps right there. It’s been very interesting, but CoxHealth has really just welcomed us with open arms, and it’s been a smooth transition so far. Gamble: That’s certainly a good thing. Now you’re talking about implementing Cerner’s EMR system. Was there an EMR in place? Elley: Yes, there was. We were largely a best-of-breed shop and so we had McKesson Horizon within our inpatient setting. We had different solutions within radiology and PACS and labor and delivery and ER, and so like a lot of organizations, we’re moving towards a one-vended solution; choosing the side of integration versus interoperability. We have a vision of one chart — one chart from an ambulatory clinic to the ER to the inpatient setting and throughout to make it easier for transition and safer for patients, and should improve with throughput. So that’s the direction we’re moving. We both had achieved Stage 6 in the past and we’ve done quite well with the solutions we had in place. But with the Cerner arrangement, we’re largely just taking the build of what was in place already at CoxHealth and making some changes where it makes sense. Maybe there are different formularies on the pharmacy side or different things like that and we’ll put that in at Branson. And then we’re also deploying some new technology that’s new to the whole organization. We were best-of-breed within the ER setting and we were best-of-breed within labor and delivery, and so we’ll be going back and putting the Cerner solution in those areas. Gamble: What’s the timeline for that? Is this in the next year or so? Elley: Yes, less than a year so. At Cox Branson we’re not only replacing Cerner, but we’ll also be replacing our revenue cycle solution. We’re Siemens MedSeries4 and they’re Siemens Soarian, and so we need to basically replace our revenue cycle solution on the first day of the month from a financial perspective. So on March 1 of 2014, we’ll be going live with Soarian and we’ll be going live with Cerner. That will be an eventful day, and it’s a Saturday too, which is exciting. There are some similarities. We have Lawson — or Infor — as our ERP vendor and so we’re working with Lawson on the best way to potentially integrate our Infor environment. In the ambulatory EMR setting, we both have the GE Centricity EMR, and so we’re trying to develop what that path looks like in the future and how Cerner plays a role on that. We’re not focused on that right now; we’re really focused on the hospital side of things. But March 1 of 2014 is when we plan to flip the switch.